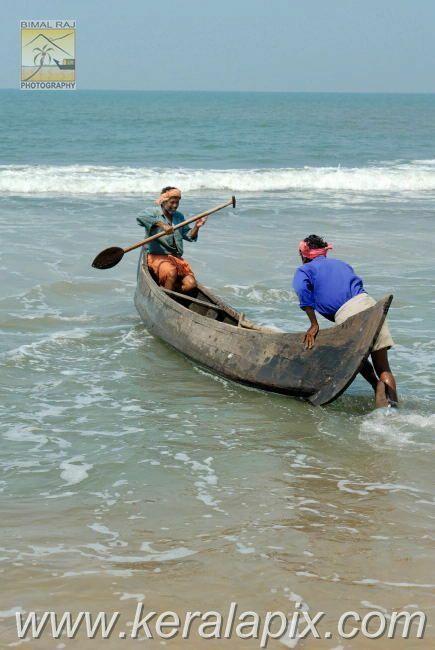 I met these fishermen at Cherai beach. 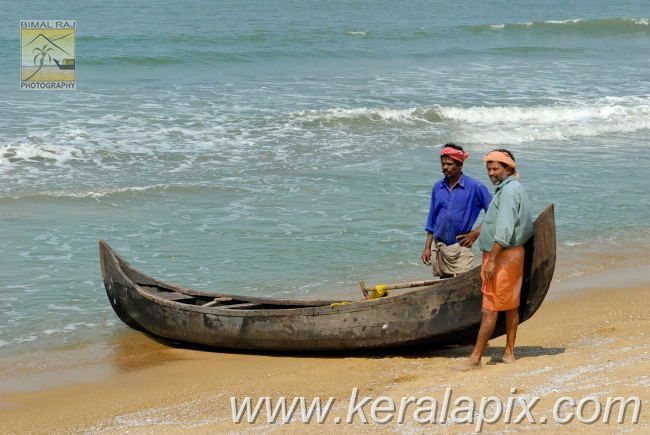 They are looking for some buyers for their catch from the Arabian sea. 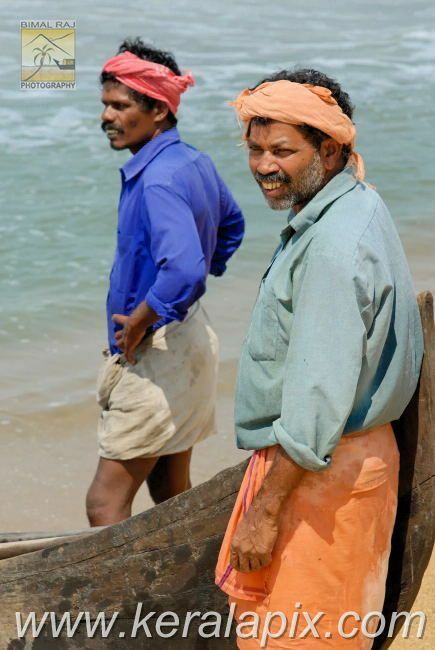 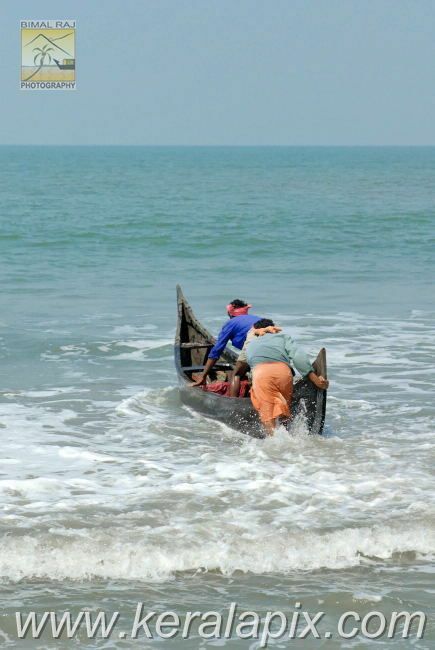 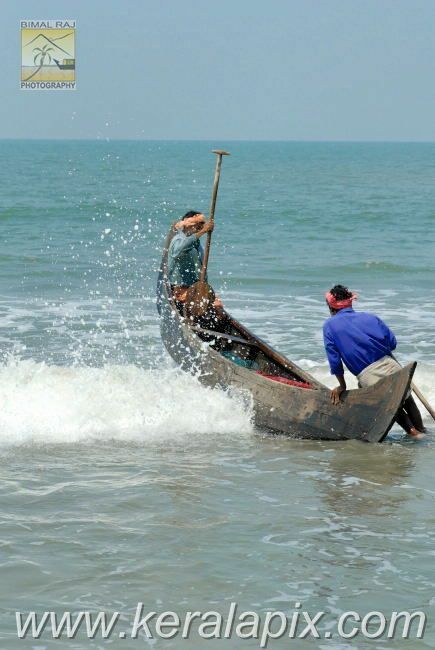 These fishermen are from the local village and get their livelihood from the Arabian sea. 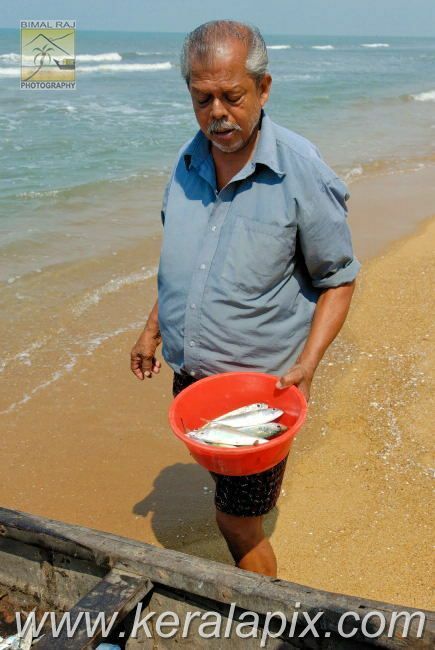 A customer for their catch. 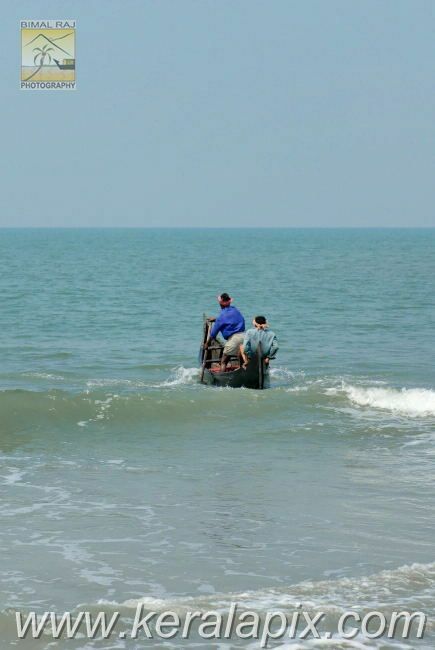 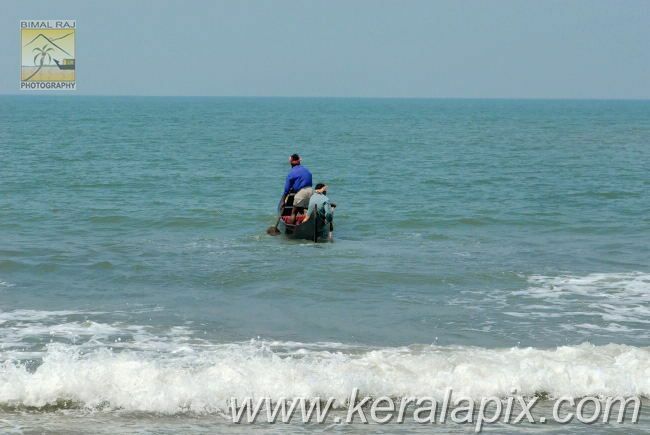 After finishing all the fishes in their canoe, they set out to Arabian sea to try another luck. 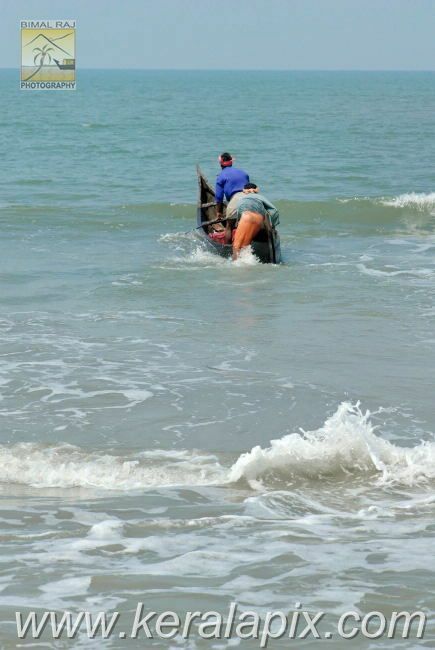 Oops, the waves turn their canoe down. 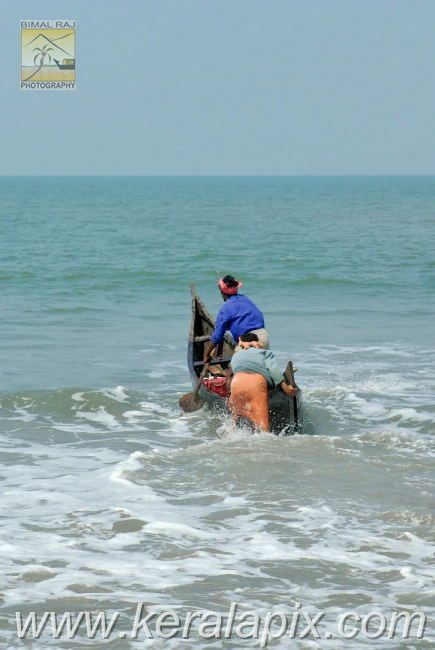 This time they succeed in penetrating the sea waves.